The Eyes of the Dragon: brilliantly enthralling story perfect for YA lovers! The gorgeous people over at @WaterstonesUxbr (Waterstones Uxbridge) recommended it to me and I am SO GLAD. They’re lovely over there, go give them a follow! Pester them for book recommendations. I was sceptical about this because I read a LOT of YA and Stephen King doesn’t scream YA to me, but I was told to give it a shot. It’s written in a very YA way – long before YA was even a thing! Never before has a book been so hit on the head in such a way. In a nutshell, The Eyes of the Dragon is the story of a prince who is framed for a murder he didn’t commit, an evil advisor to the king and a king who’s too young and naive to tell the truth. I LOVED IT. SO MUCH. It’s so clever, so well woven. I didn’t want to stop reading it. It just worked, so beautifully. It’s storytelling at its absolute best. If you’re a fan of worlds with magic, evilness and incredible characters then I totally will make you read this! Have you read any Stephen King books? 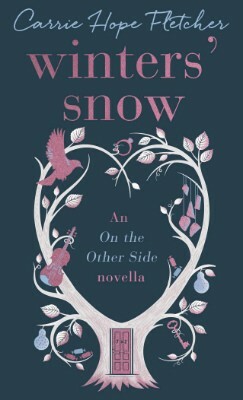 Are there any books you look at and think ‘oh no, that’s not for me‘ but then read it and loved it? Let me know in the comments or on twitter!! p.s. this review has done this book no justice whatsoever, just read it then we can talk about how clever Peter is, how stupid Thomas is, how evil Flagg is and how bloody incredible this book is! A Boy Called Hope – made me cry in the very best way. I had heard so many brilliant things about this book via the tweachers in my life that I knew I needed to get on it as soon as I could. I was very lucky that the lovely Stevie over at Usborne offered to send me a copy! Thanks Stevie! I took Dan Hope in his book into Newcastle for a bit of reading in the sunshine and it was an experience! A Boy Called Hope tells the story of Dan and his roller coaster relationship with father figures. He wants his dad back. His dad left to go be with another woman and all of a sudden his dad is on TV and Dan thinks that now is his chance to have his dad back in his life. All of this is happening and Dan is having to deal with his best friend insisting on him trusting her relic of a saint and his other best friend falling out with him. Dan has an incredible big sister, Grace. She meddles in his grand plan and wants Dan to have nothing to do with their estranged father. While all of this happens – Dan trying to get on with school, combatting his emotions with seeing his dad on TV, getting on with his sister – Dan’s mum has a new friend (Big Dave) and Grace does not trust him. They end up meddling and getting the wrong end of the stick in a big way. Dan gets from Big Dave what he doesn’t from his dad. Their relationship made me cry the most. I absolutely loved it. It’s funny watching the world unravel through the eyes of a child and Lara has done it perfectly here. There were bits that made me laugh. Parts that made me cry. Unexpected twists. Brilliant friendships portrayed. Tough emotions dealt with. This book touches on some sensitive issues but deals with them so brilliantly. They’re definitely looked after well. I would totally recommend this book for KS2 classes. It would be a brilliant class reader too. It would create some brilliant talking points. I absolutely loved it. Can’t wait to read more books by Lara Williamson now… if they’re anything like this one, then I may have found another “must buy” author! Have you read A Boy Called Hope? What did you think of Big Dave? 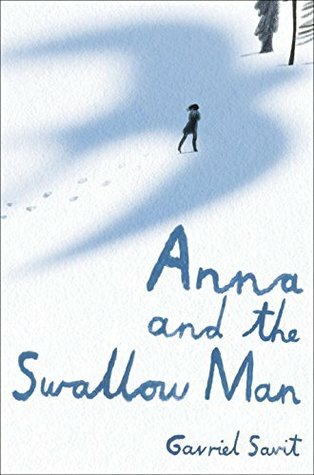 Can you recommend any other kids books you loved this summer? Let me know in the comments, or on twitter! I will take all of the recommendations! How is it Sunday? There’s only 1 more week left of the Summer holidays, HOW HOW HOW? WHO STOLE MY HOLIDAYS? WAS IT YOU? Rude. I’ve had the priviledge of reading all of these books recently and I have thoughly enjoyed all of them! I can’t wait for my kids to read them too! What books are you looking forward to sharing with your kids? 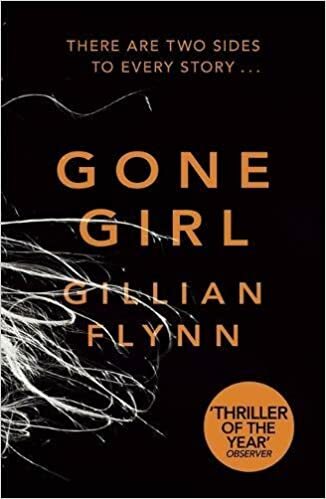 Which books have you enjoyed most this summer? Let me know in the comments, or share them on twitter using the hashtag #SixforSunday… you know the drill! “Compare town and country scenes full of clever little details in this beautiful new Turnaround Book – spot buses, trains, and skyscrapers in the town and tractors, mountains, and farm animals in the country. Open the book one way to explore the town scene and then flip the book over to delve into the country landscape. What can you see that’s the same in both scenes? What can you spot that’s different? The gorgeous people over at Quarto sent me this brilliant book recently and I can’t wait to share it with the kids at school. I’ve already shared it with the little girl who lives next door and she absolutely loved looking for all of the things that were listed! As you can see in the picture above there’s TWO lots of things to look for! This would be a perfect book for my twiglets! They wouldn’t have to share the same page, they could look at things for their page and then just turn the book round to look for new things! I love that this book could be used for extending the vocabulary of your littles! It would be perfect in an EYFS setting – the kids would have such a brilliant time looking for the things and then talking about the objects they’re looking for. There are so many gorgeous pages in this book. This one is a country jobs page! Again this would be great for extending vocabulary! Perfect for the little inquisitive people we have in the world! Check out the Quarto website for more details! I can’t wait to share this with the little people in my life. I remember being younger and loving these “look and find” type books – ‘Where’s Wally?‘ used to be my absolute nemesis. Town and Country is a much friendlier version of books like Where’s Wally?! The pages aren’t filled with hundreds of things! Were you a fan of “look and find” books? Let me know in the comments… share your favourites with me – I won’t be any good at them but it’s good for the brain! Time for a tag! I haven’t done one in forever! Thank you so much to Kelly @ Kelly’s Rambles for tagging me and Louise, Amy and Charlotte for creating it! Can’t wait to share some of my favourites with you all! The rules are simple: if you’re tagged you need to answer the questions and tag four of your bookish pals, as well as crediting the tag’s creators. Enjoy! I love Carrie Hope Fletcher, so when I found out there was going to be a novella, I knew I needed to get on it and it’s so perfectly gorgeous. A brilliant accompaniment! Not sure whether this counts as a classic? But definitely 1984. I absolutely love it. We studied it for GCSE and it just hooked me then. I’ve read it since and it’s doublegood. I DEFINITELY thought After The Fire was going in a different direction to what it did. There were things in this story that I didn’t see coming. Absolute winner though. Go read it! Rocket Ice Lolly: A Book Which Looks More Exciting On The Outside? Meh. I was SO excited for Caraval and then it didn’t quite hit the spot. It’s probably worth reading to make your own opinion, but I didn’t LOVE it like I thought I would. Ben & Jerry’s: Most Versatile Author? Oooh, interesting. I do not know. Robert Bryndza should get more praise though. His Coco Pinchard books are some of the best, funniest books that I’ve ever read. His switch to crime thrillers was welcomed and his Erika Foster books have all been brilliant. I wanted so much for this book. I have a strange relationship with this book. BUT WTF WITH THAT ENDING? Why would EITHER of them do that? UGH. I have a lot to say about this book. Don’t get me started. Rainbow Lollies: Favourite LGBTQA+ Fiction? Shout out SO HARD to David Levithan. This book however has my heart because it’s so unique in its writing and its delivery. If you haven’t read it, please do. It just speaks volumes. Possibly my only NF book on my list. This book is essential reading for everyone. I suggest if you haven’t already, that you get it read. 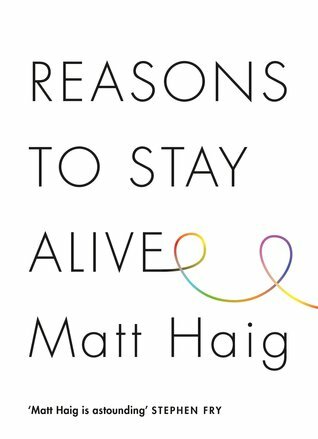 Depression is very real: Matt Haig shows why living can be worth it. Boss Strawberry Double: International Author? I HAVE SO MANY. But I think Alwyn Hamilton gets this shout out. I have ABSOLUTELY adored Rebel and Traitor and I can’t wait for Hero at the Fall. YAS. Magnum Ice Cream Tubs: Weird but Good? Read this earlier this year and it’s definitely a different book. I would love everyone to read it though. I really, surprisingly, enjoyed it. 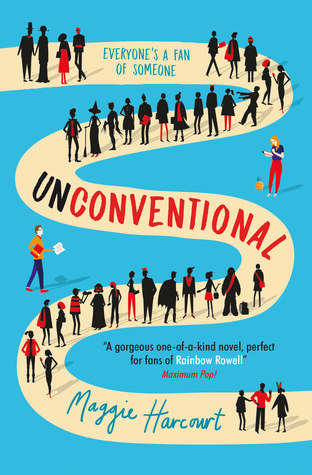 Bloody loved Unconventional when I read it. Such a happy story! It’s one of the few books that has made me smile all the way through. If you’re in need of a book to make you smile, then please, go read this! 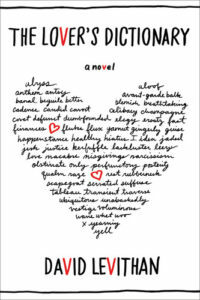 Choc-Ice: Book You Don’t Want To Admit You Love? I don’t know that I have a book I’m ashamed of admitting I love. Fruit Lolly: Left On The Shelf? Mint Choc Chip: Love It or Hate It? Meh. Don’t get me started. There’s things I love and things I don’t. Katniss is my biggest gripe with this story. I’m not going to tag anyone because I think everyone’s been tagged! If you wanna do this tag then please do!! Today, I am very lucky that I get to host a brilliant author and she is going to share some creative writing tips with us! Thank you so much to Claire McFall and Kelpies Edge for inviting me on this blog tour! I can’t wait to see the rest of the posts… some of them sound incredible! Check out the banner below to see who else is involved! I’m a teacher. Actually, I’m an English teacher, so you’d think this would be easy. Wrong! You see, as far as I’m concerned there’s no right way to go about writing – so what works for me might not work for you and vice versa. Caveat firmly in place, these are my tips for creative writing. Feel free to take them with a pinch of salt and do your own thing. That way, masterpieces are made. This is your worst enemy. You can sit and stare at it for hours. It’s intimidating – how I imagine an artist might feel beginning a new canvas. What if the first brush stroke is all wrong? You’ve ruined it! Well, no. 99.9% of you will be typing, and there’s this awesome button called backspace. If you don’t like it, delete it! But I wouldn’t. Write the first sentence, then the second and the third and the fourth, until you’re no longer dragging them out, but they’re coming more freely. Flowing. When you’ve finished – the paragraph, the page, the chapter, the story – go back and read over your opening lines. Firstly, I bet they won’t be as bad as you thought, but also, if you really do hate it, it’ll be so much easier to tweak. Novels vary in length, but Ferryman and Trespassers are both about 75,000 words. If you broke both novels down, I’d be willing to bet that telling the actual story only takes up about 30% of that. The rest? World building and people building. It’s not enough to have a great storyline and tell the reader what happens. You need to show them by creating a world they can step into. To do that, you’ve got to make sure you concentrate enough on describing settings. And when you do, make sure you’re not just thinking about what places look like! Sight is just one of our five senses. If you simply describe what I’d see, I’ll feel like I’m looking at a picture. I want to be in the picture. What will I hear? Smell? What will things feel like if I could reach out and touch them? If you want to hook the reader in, you also need to spend time giving depth to characters – and not just your main character either! The best stories are where you can make the reader hold their breath and wonder what’s going to happen next – and they do that because they care about the person that it’s happening to! Every good writer is also a reader. Reading develops your vocabulary, shows you different ways to play with language and gives you ideas about how a narrative can be organised. What’s important, though, is that you try to read a wide range of things. Don’t decide I want to write Science Fiction so I’m only going to read Science Fiction novels. Do that, and you’ll end up writing the same thing as everybody else! If you want your writing to be new and different and fresh – the thing that everybody wants to read! – you need to expand your horizons. Try a Western. Or a historical novel. Read some non-fiction! At worst, you’ll learn something. And the best? You’ll discover a whole new world of awesome stories to devour! Reading books will help you get better. It will. But it’s not as helpful as getting feedback from readers about your own writing. Warning: this is scary! What if they don’t like it? What if they laugh? What if they say it’s rubbish? Well, they might. I’ve had reviewers online saying they hated my stories. Not many, thankfully… When it happens, oh it stings. I can eat a whole chocolate cake before I feel better sometimes (that’s my excuse and I’m sticking with it). But if no one tells you what’s wrong with your writing, how can you get better? As writers, we often can’t see the wood for the trees – we wrote it. To us, it’s perfect! We need outside perspectives to help us mould first drafts into finished stories. And get a slice of cake in, just in case. If they love it – well, it can be a victory slice. Thank you so much to Claire for giving us some brilliant tips! Claire McFall is a writer and a teacher who lives and works in the Scottish Borders. She is the author of paranormal thriller Black Cairn Point, winner of the inaugural Scottish Teenage Book Prize 2017. 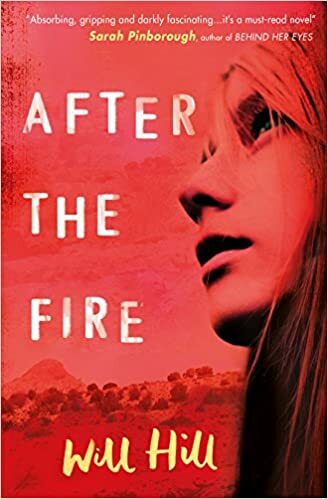 Her debut novel Ferryman won a Scottish Children’s Book Award, and was nominated for the Carnegie Medal and shortlisted for the Branford Boase award. Her other books include dystopian thriller Bombmaker. Trespassers, the much-anticipated sequel to Ferryman, will be published on 14th September 2017.